Rose gold and moi: It’s a love story! 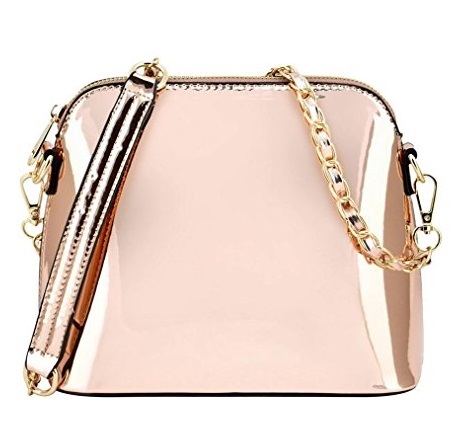 In my never ending search for everything rose gold I found these rose gold handbags. My criteria besides that the bag has to be rose gold: It has to be glam and have a certain kind of X-factor. Mission accomplished! 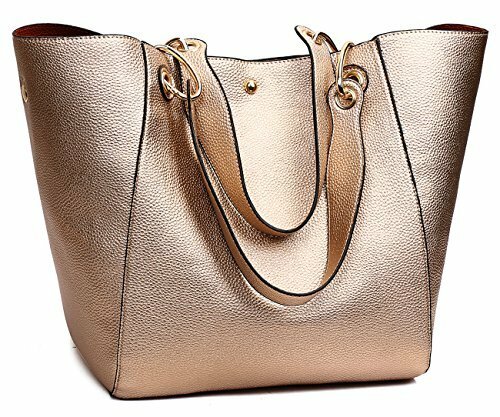 Check out my selection of rose gold handbags below. 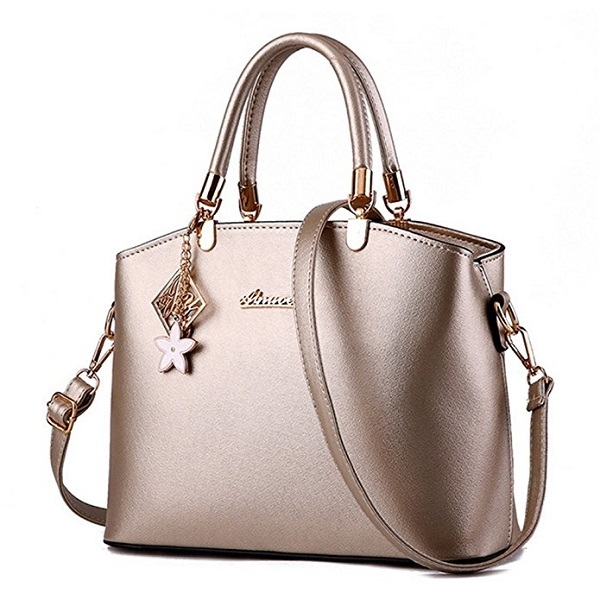 Sophisticated rose gold handbag with a metallic finish and chain strap. Featuring multiple compartments, slit pockets and zipped back pocket to store all your essentials including iPhone etc. Made from PETA approved vegan leather. 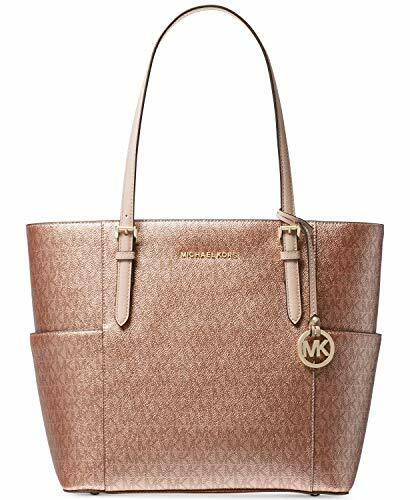 This is your everyday go-to handbag with rose gold color. Perfect for going around town carrying essentials like iPad, keys, smartphone and wallet. Inside you’ll find a large zippered pocket and 2 slip pockets, while a deep slip pocket at the back is large enough for your phone. 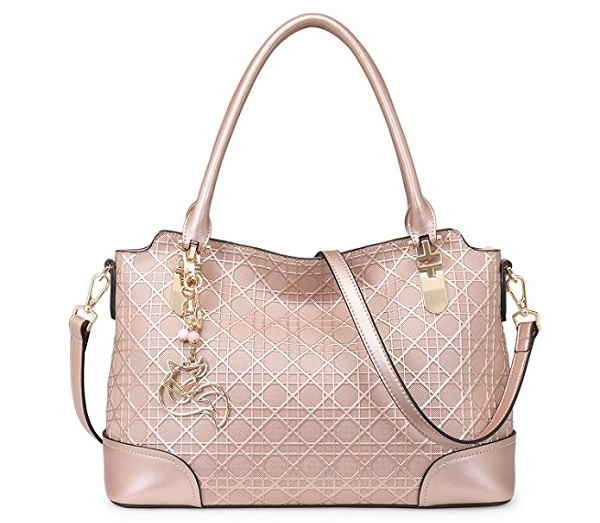 This rose gold by Luv Betsey by Betsey Johnson looks remarkably like a Lady Dior bag. The quilted look immediately draws attention and the rose gold-tone hardware gives this bag an edgy look. Comes with an optional shoulder strap. 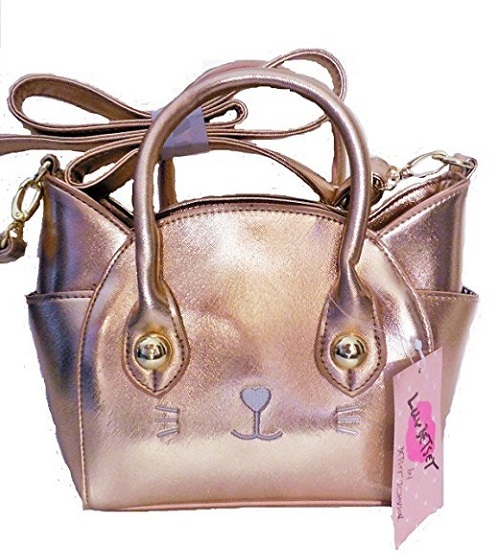 Another rose gold handbag by Luv Betsey Johnson, this time in the shape of a cat! 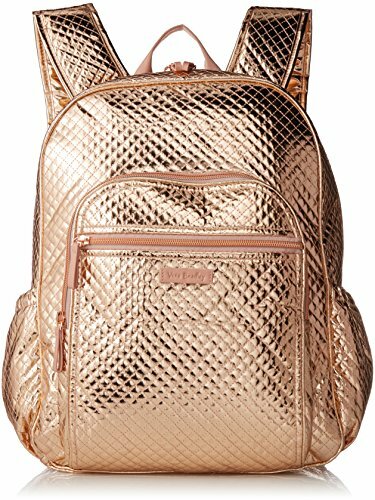 Decorated with gold hardware and a cute cat face on the outside. The bag has a removable strap and (zippered) pockets on the inside and outside! 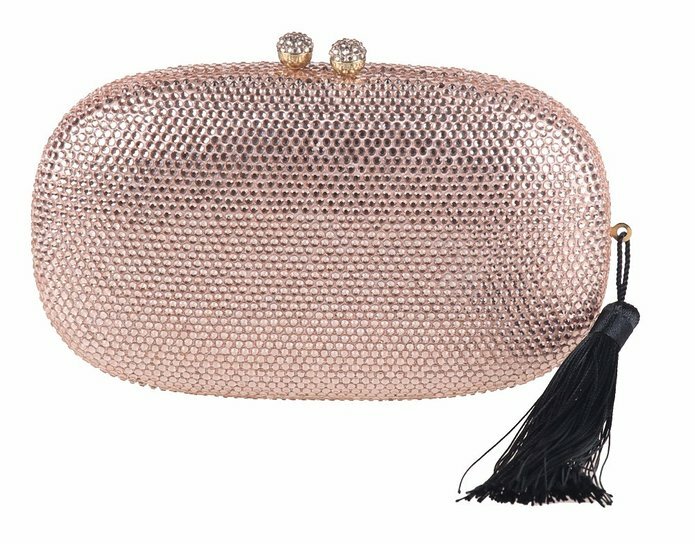 Although technically an evening clutch, still I didn’t want to leave out this rose gold evening clutch. It’s so darn pretty and looks great when your attending a wedding or a fab party! The Chicatastic rose gold clutch can fit an iPhone and holds your essentials for a night out! 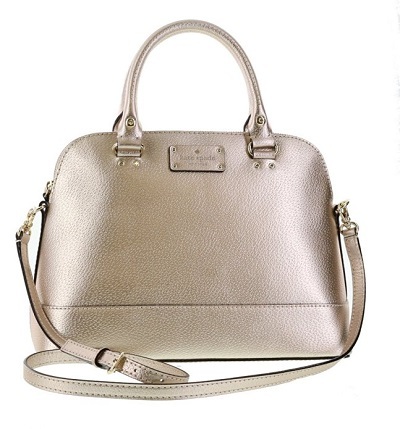 Kate Spade is one of my favorite brands, so this bag is on my wish-list. Made from Saffiano leather with an open top with magnetic closure. Inside the bag you’ll find 1 zip compartment, 2 slip pockets and central compartment with top zip closure. Not a known brand, but still a stunning bag. 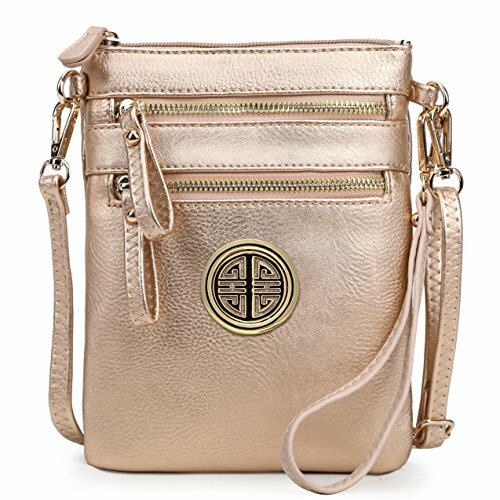 Metallic finish with lots of shiny hardware with internal pockets to hold all your essentials. 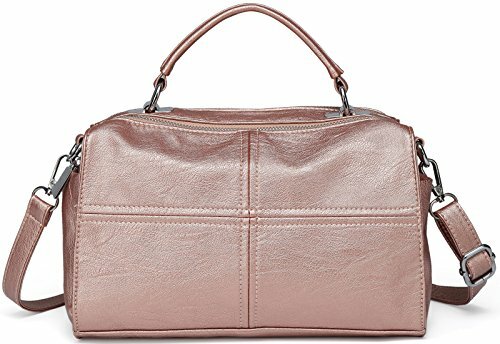 Simple and classic is what this Calvin Klein bag is. 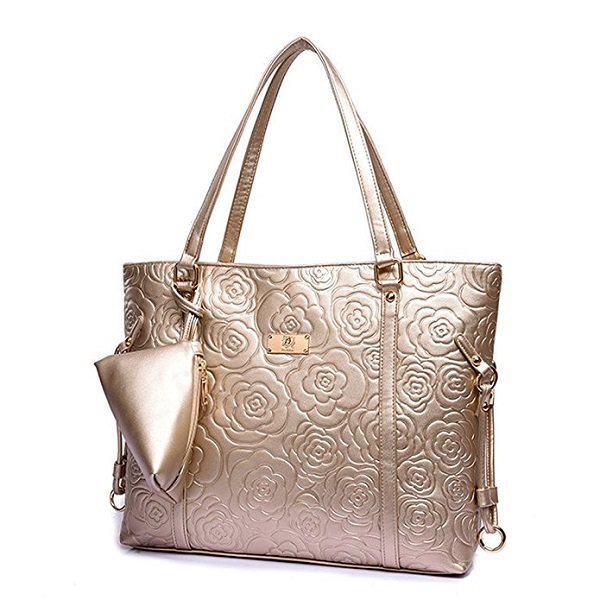 Rose gold metallic faux leather with gold embossed flowers. This is a classic looking bag in a doctor’s style. I love the shiny gold hardware detailing on the handles. There’s a removable strap, so you can also wear it as a shoulder bag. I love Michael Kors’s stuff: perfume, watches, jewelry and bags. Lots of rose gold to be found there! This bag is a bit shiny, but still perfect for work. It has 2 separate compartments, so great for organizing all your stuff. 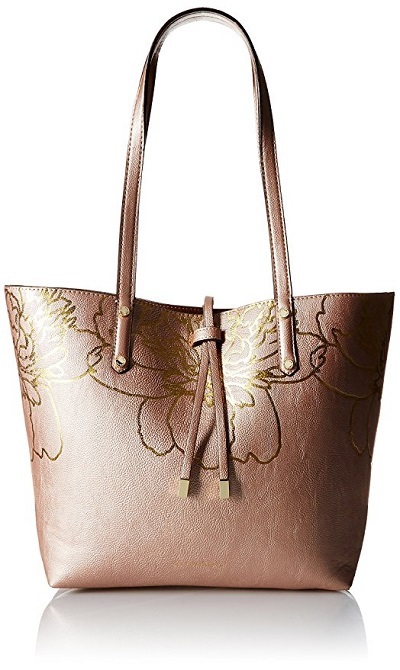 A rose gold handbag by Italian brand Mataga with a pretty charm and 3 inner pockets. The main compartment is big enough to hold an iPad air and has a zip closure. I love the geometric art on the leather and the pretty charm attached to the bag. Stunning rose flower embossed bag with a cute little wallet to hold essentials like lipbalm, keys etc. The bag is large enough to hold an iPad mini and has interior pockets for phones and small items. 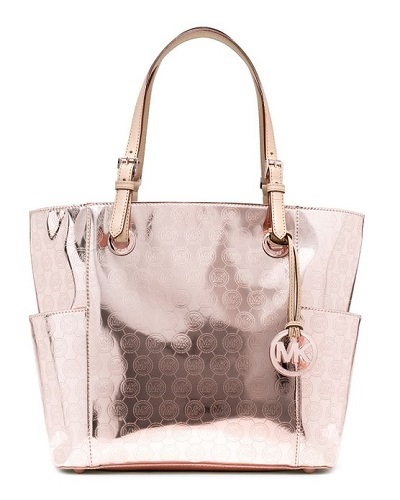 Continuing my love affair with Michael Kors, here’s another of his rose gold handbags: The Grayson Metallic Satchel. Yep, it’s shiny and really out there, but I love it! MK logos all over the bag and of course the MK charm. Lots of interior pockets and metal hardware! What more could you ask for? 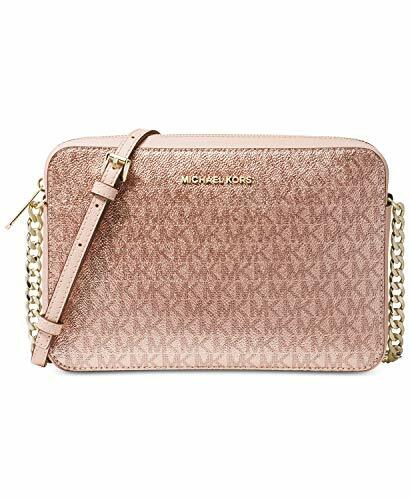 It’s hard to pick a favorite from all these bags, but if I could only pick one it would probably be the Kate Spade Bag or the Michael Kors.